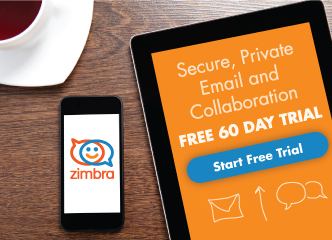 For Zimbra 8.8.8 and above, you don’t need to download any patch builds. The patch packages can be installed using Linux package management commands. Please refer to the respective release notes for patch installation on Red Hat and Ubuntu platforms. Note: Installing a zimbra-patch package only updates the Zimbra core packages. Patch 1 is here for the Zimbra 8.8.12 “Isaac Newton” GA release, and it includes fixes as listed in the release notes. Please refer to the release notes for Zimbra 8.8.12 Patch 1 installation on Red Hat and Ubuntu platforms. After an upgrade to 8.8.12, IMAP users are unable to access folders with names containing non-ASCII characters. This is fixed in 8.8.12 P1. Patch 4 is here for the Zimbra 8.8.11 “Homi Bhabha” GA release, and it includes fixes as listed in the release notes. Please refer to the release notes for Zimbra 8.8.11 Patch 4 installation on Redhat and Ubuntu platforms. Patch 8 is here for the Zimbra 8.8.10 “Konrad Zuse” GA release, and it includes fixes as listed in the release notes. Please refer to the release notes for Zimbra 8.8.10 Patch 8 installation on Red Hat and Ubuntu platforms. Patch 10 is here for the Zimbra 8.8.9 “Curie” GA release, and it includes fixes as listed in the release notes. Please refer to the release notes for Zimbra 8.8.9 Patch 10 installation on Red Hat and Ubuntu platforms. Patch 11 is here for the Zimbra 8.7.11 GA release, and it includes fixes as listed in the release notes. Please refer to the release notes for 8.7.11 Patch 11 installation. Patch 14 is here for the Zimbra 8.6.0 GA release, and it includes fixes as listed in the release notes. Please refer to the release notes for Zimbra 8.6.0 Patch 14 installation.